So you go to every open house and spend some time looking over wonderful property photos online. You may not be able to get that property off of your mind. However, how serious are you about finally putting a down payment on it and actually buying a home? If you are having some thoughts about whether you are ready to buy a home or merely just window shopping, we can help you figure that out, just see the list below. If any of these describes you, you are probably still in window shopping mode. 1: You love open houses! Do you stick to open houses and ogle around? Open houses are great. You can look into those beautiful homes with low-commitment, no pressure to make an offer or even move in the direction of one. Finding yourself addicted to these group showings but lacking the desire to have a one-on-one appointment? You know the answer to that, don’t you? 2: You’re all over the neighborhood. Do you check some houses in a certain neighborhood or look at a bunch of houses in different neighborhoods? Do you say these lines in an open house, “I am just looking around…” or “I have a long list of towns that I am considering to live in…”? If you find yourself saying these lines and going to open houses in different neighborhoods, you are probably still in the window shopping phase. 3: Third time is a charm. Don’t put your finger on the trigger unless you are ready to shoot. This can be applied to real estate too. No written offer means a buyer isn’t serious, yet, in getting a house. Still gun-shy? Maybe you are not committed, yet. You are hunting alone by this I mean, you do not have an agent. Have you observed other people that go into open houses? How many are there who have an agent working with them? Maybe you want to do it alone and thinking you can buy a home without an agent, that’s fine. However, it might be just a way to wiggle out from the feeling of being obliged to make an offer and have those papers signed. 5: You’ve been looking for a while. Have you heard about a SMART goal? Your goal must be Specific, Measurable, Attainable, Realistic, and Time-bound. If you have been searching for a home for over a month without a SMART goal then you are probably still in the window shopping phase. How would you know that you are ready to take a plunge and ready to pull the trigger into finally being a homeowner? We’ve got you covered. 1: You yearn one-on-one appointments. If you want to make it happen, you want to have a private showing and not a group showing. Serious home buyers are aiming to set up one-on-one appointments to really look at a potential home. 2: You tag your friends and/or family along. Getting a home is a family business because your family will be living in it and they are vital in making a decision on whether you are going to buy the house or not. Showing the property with your significant other, or another family member, or a trusted friend is a good sign that you visualize yourself living in the property and wanting a second opinion from someone important who will be living in there. Just like I have mentioned before, when buying a home you must have a SMART goal. You have specific needs or interest on what you are looking for a house. Homebuyers typically tend to ask multiple questions like neighborhood attributes, schools, the age of mechanicals, distance to parks and recreation, and kitchen and bath updates. Even lying awake at night just wondering how old the roof is, or how you can convert the den into an office. Questions are a good thing. You want answers. You want your needs to be met. 4: You know your finances. If you have a pre-qualified or actively securing a mortgage with a lender and you know where you will get or have money ready for the down payment and other expenses, then it only shows that you are geared up for really buying the house you eyed. 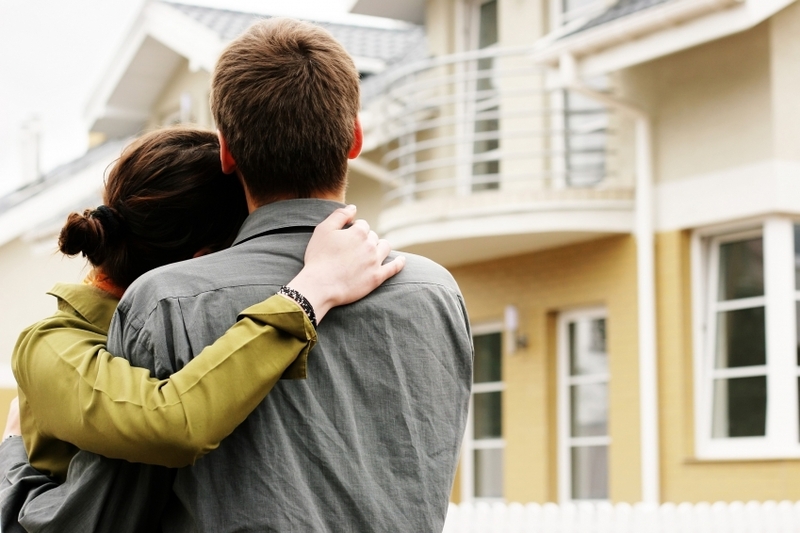 Now that you have read this post, so are you ready now to buy a home—or just window shopping?